Mr. Bradley was 87 years old and had a few questions about his health … or so he said. As I sat down I could see plainly that he was struggling—not with any medical problem-more about being alone. After several minutes, I realized to whom I was talking—a man who had married his high school sweetheart, and raised five children—a man who served in the military in World War II and was one of the first onto the island of Iwo Jima the night before the troops even landed, losing his friend in the fight. He was 20 years old at the time. He spoke with passion about his life and family, and with tears in his eyes he described his precious wife who died 13 years ago—the memories still fresh. He explained how his children had passed away one by one, leaving him with only grandchildren that lived in another state. He didn’t get to see them much—actually, not at all. As he spoke, he attempted a smile several times—but his tears betrayed him. 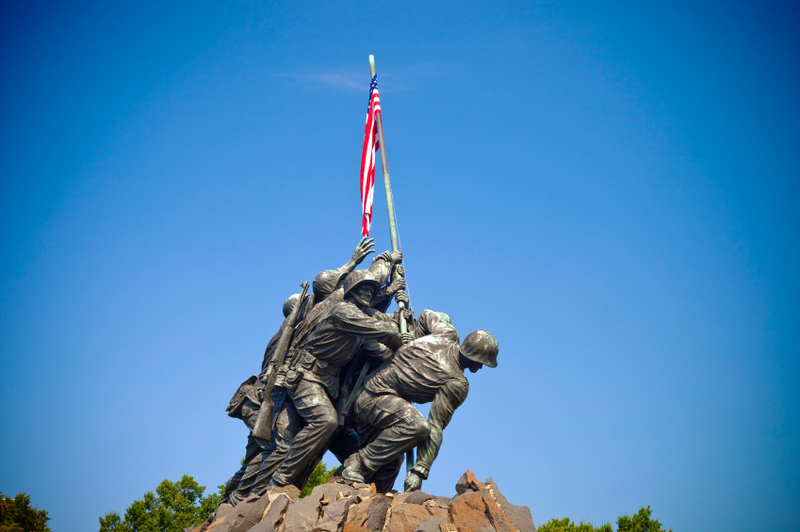 The elderly gentleman that sat before me almost lost his life in the battle of Iwo Jima as he fought valiantly for this country’s freedom. He had struggled through cancer—himself first, then his wife. He continued to battle with heart problems and has endured financial ruin. But his faith was still strong. It was a busy day for me and I really didn’t have time to sit and talk, but I did anyway. It wasn’t a chore—it was an honor to listen to a man who has given so much for his country and his family. Instead of it being difficult to listen—it was a task to get out of my seat to leave the room. I stood in the doorway for a moment—but it seemed he had something else on his mind. I closed the door and took my seat again. He looked into my eyes and said, “What do you do when your life is over, but you’re still alive?” Tears welled up in his eyes. I was at a loss for words as we sat in that little exam room—we talked for a long time, about God, about what he could still offer to the world. In his life he had seen great things, terrible things, wonderful things and unspeakable things. Now he sits alone in a small apartment having outlived his loved ones and friends—his precious wife of 54 years. Life didn’t have meaning even though he was a Christian. When we feel our weakest and our hope is no longer in ourselves, God can move in ways that are impossible to comprehend. It’s important that those who are weak and debilitated know that. We must tell them. Do you know someone who needs you to call them or visit? Is there someone God wants you to encourage? We owe some of them our lives, our way of life, our freedom. They can change the world with their prayers. If they are alive, God is not through with them yet. Question: Is there someone who has changed your life?